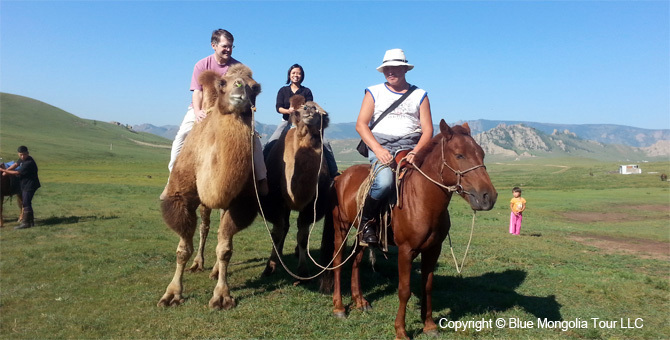 Camel Trekking tour starts to Valley of River Tuul. 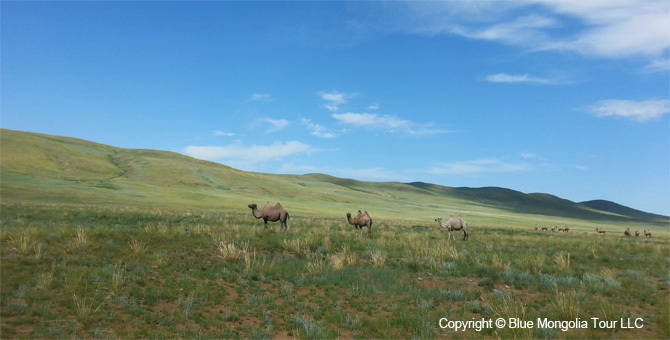 Cameltrekking distance is 20 km through low green hills, and Gorhit and Ongotsot valleys. Box lunch on the way. 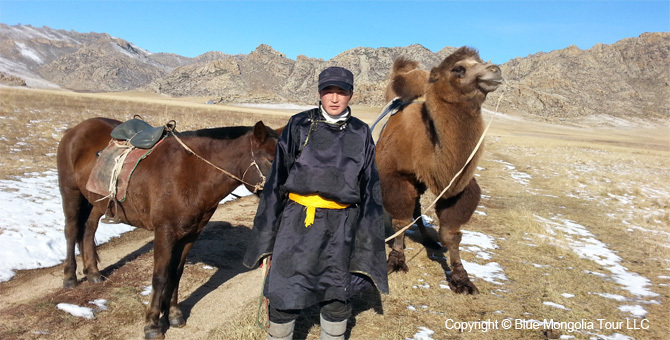 During the lunch local camel guide will tell you intersting stories and tales about camels and you will have some idea about mongolian tradition related to this animal. Also you will try the camel milk. 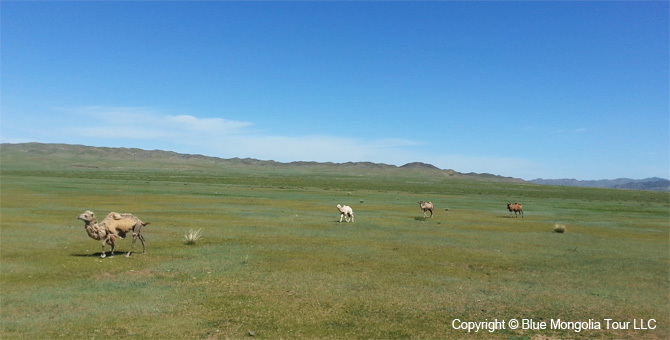 Continue the camel riding travel and reach at river Tuul, When you want to have some stops for taking pictures and to change clothes, it is possible. 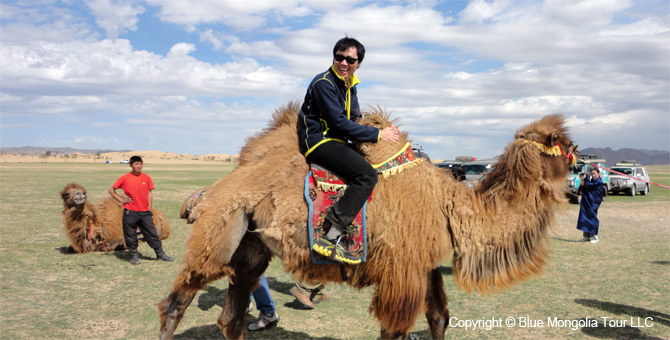 Say goodbye to local camel guide and camels, have hot drinks with local guide.